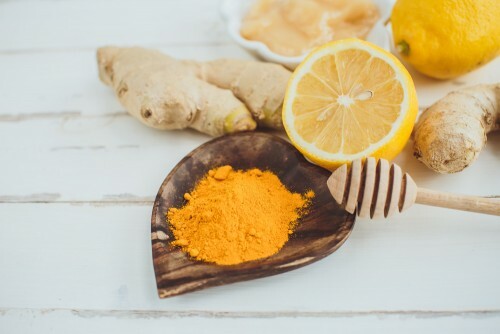 It is well known that anti-inflammatory medicines are associated with a long list of harmful side effects so, many people search for natural remedies to treat pain and inflammation. In this post I call into question the need of fight inflammation, which is a thought shared by both conventional and alternative medicine. I offer other solutions to alleviate inflammation while respecting the wise decisions of the body concerning the need of the inflammatory process. First of all we need to clarify the concept of inflammation. We identify inflammation mainly with redness, swelling and pain in the tissues or organs. Inflammation has two origins: immune and restorative. The immune response may be caused by different reasons, but the goal is always the same: cleaning our organism from harmful substances, whether they are foreign substances coming from outside - toxics and microbes - or from internal substances - toxins resulting from the metabolism. The restorative inflammation happens when some part of the organism has been injured. In this case, the body dilates the blood capillaries in order to allow the passage of healing substances, such as platelets, and cleaning and defensive substances to the damaged area. From this explanation, we may deduce a fact: the inflammation is a beneficial process for the body, because the purpose is the restoration, defence and cleaning of the organism. Deepening a little bit more into the deduction, we may understand that when the inflammatory process is stopped then the restorative, defensive and hygienic action can not be taken place, so the organism can not heal. Further more, the anti-inflammatory medicine inhibit the inflammation - the healing process! But, what about the natural medicine, such as phytotherapy and homeopathy? We have been told that natural remedies are not harmful and they have insignificant side effects. Yes, their side effects are lower, as well as lower anti-inflammatory effects. Nevertheless, it’s also an anti-inflammatory - they disturb the healing process. Regarding the anti-inflammatory food, such as turmeric, broccoli, omega 3 rich oils, garlic, coconut oil, etc., they perform the same function as a natural remedy, although less powerful. So they are not as counter-productive as conventional or natural medicine, because these last ones are a pure extract of anti-inflammatory agents, while food is an aggregate of substances with different effects. So this kind of food are not a problem, provided they are taken in normal amounts. Juicing therapies or turmeric supplements, for example, have the same effects as a natural remedy. Now we understand that inflammation is necessary for healing. But, isn’t it possible that the body makes a mistake, and it produces an excessive inflammation when it is not needed? There are several conditions in which medicine considers that the organism is taking wrong decisions. This is the case of allergies and autoimmune diseases. In this other post I expose the reasons that show that autoimmune diseases and hypersensitivites are not an immune malfunction. Therefore, neither in these cases is not convenient to stop the inflammatory process. The inflammation, although is an annoying process, is also needed in these diseases. In the same way, flu, a cold, the inflammatory bowel disease, a faringitis, vaginitis, bronchitis, conjunctivitis, gastritis, otitis, cistitis, tendinitis, … are the result of the proportionate answer of the immune system to the current circumstances. They mustn’t be stopped. But we can search the way to alleviate them respecting the immune process; and of course, we can search the causes of that diseases in order to prevent happening again. The immune system is never excessive. If inflammation exists it is because it is needed. The body is very intelligent, it doesn’t make mistakes, it always acts in the best direction for us, in a proportionate way depending of circumstances. Medicines, both natural and conventional, help us to live better, relieving our physiological and psychological pains, so we can continue with our daily frenzy of stress, pollution, junk food and other live pleasures. But our health pays a very high price for that, with a chronic deterioration. Pain and suffering shorten our health too, I don’t suggest dying of pain. What to do then? The only therapies that help to soothe the pain in the emergency, without any side effect, are the body-mind and energetic therapies: meditation, visualisation, laughter therapy, hypnotherapy, reiki, massages, prayer, etc. Because they don’t block inflammation, but in first place, they deviate the attention of the mind to another point, and in second place, they stimulate the production of endorphins, the wellbeing substances. In order to understand it better I suggest an exercise. Any day you have a worry, a fear, a malaise; stop for a moment and distract your mind to another subject. Think about your vacations, a pleasurable event in the past, or simply watch a comedy on the TV. You will see how your problem substantially decreases. However, another day concentrate your attention to your problem, making your head spin. You will verify that it makes the problem worse. The solution is to evade the mind with a method that is not harmful for the health, strengthening the mind. Then, in the long term, the pain will disappear when the cause has been identified and you have put an end to it. Our organism is immensely wise, and it knows perfectly how to heal. In the same way that when a bone is fractured, or when we have a wound, it is the organism who restores the bone of the skin - the same happens with every disease. We simply must stop the process that is hurting the body, whether the stress, unhealthy food, negative emotions, sleep deprivation, lack of sun, etc. Following a healthy life style in all the areas we can heal and prevent inflammation. It’s not easy, but at least it’s worth to try it. And finally, if we don’t succeed in changing our life style, because of different reasons, the resource of anti-inflammatory medicine is always available - natural ones if you prefer.